Patricia J. Foster “Mama Pat”, age 88, of Chestnut Street, Salamanca, NY, formerly of Allegany, NY died Monday, October 17, 2016 at Olean General Hospital, Olean, NY. Born on March 18, 1928 in Olean, NY, she was the daughter of the late Eugene & Irene Lippert Foster. Patricia was employed with Owens-Corning in Bradford, PA for over 20 years, retiring in 1983. She was the co-owner of Bier Hut. She was a member of the Women’s Auxiliary of the Allegany American Legion and she attended Our Lady of Peace Parish in Salamanca, NY. 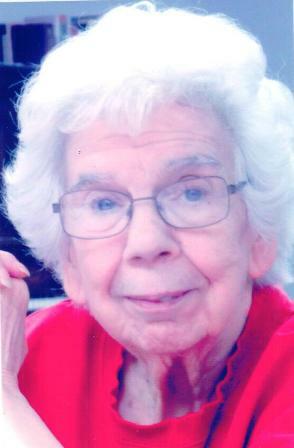 She enjoyed crocheting, card playing, traveling, and taking cruises. She also enjoyed spending time with her family, especially her great-grandchildren. Surviving are: a daughter, Jennifer (Keith) Crissman, Kirkwood, MO; a son, Terry Foster, Salamanca, NY; 7 grandchildren, Stacey (Todd) Peterson, Little Valley, NY, Tamara (Ty) Warner, Rochester, NY, Ashley (Nick) Rhinehart, Cattaraugus, NY, Brittany Foster, Salamanca, NY, Michael Foster, Salamanca, NY, Morgan Crissman, Kirkwood, MO, Ryan Crissman, Kirkwood, MO; 6 great-grandchildren, Seth, Ty, & Gabrielle Peterson, Little Valley, NY, Adelyn Warner, Rochester, NY, Skylar Munson, Springville, NY, Tanner Rhinehart, Cattaraugus, NY; 2 sisters, Irene Pierce, Allegany, NY, Shirley (Bill) Papasergi, Allegany, NY; Edward (Nancy) Foster, Allegany, NY, Carl (Gloria) Foster, Allegany, NY, Robert (Sandy) Foster, Ft. Pierce, FL; several nieces and nephews. She was predeceased by 2 sisters, Sophia Wolf, Kathleen Scull, 6 brothers, Herman Foster, Eugene Foster, Lawrence Foster, Stephen Foster, Harold Foster, Kenneth Foster. Friends may call at the O’Rourke & O’Rourke Inc. Funeral Home, 25 River Street, Salamanca, NY on Friday afternoon from 4-7 p.m.
Funeral services will be held in the funeral home on Saturday morning at 11 a.m. with Rev. Peter Napierkowski, pastor of Our Lady of Peace Parish, officiating.